Do you like to play cards? Here's a project that will get you thinking about strategy in card games and help you become a better card player. The objective of this project is to prove the best strategy for playing Hi-Lo using basic probability. 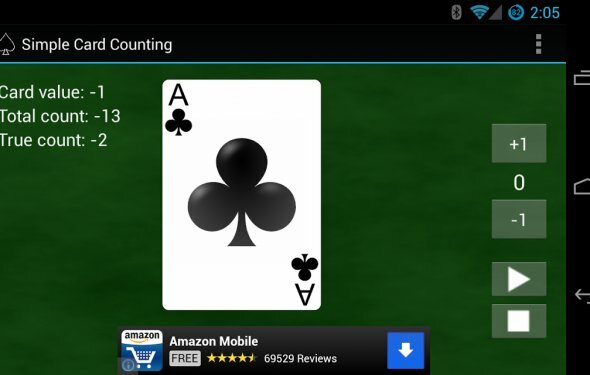 Using computer simulations, you can verify that a particular strategy is correct and show what happens to the odds of winning when "counting cards." Hi-Lo is a very simple card game. A dealer ("the house") starts with a deck of cards and turns over the top card. The player then guesses whether the next card in the deck will be higher or lower than that card. If the guess is correct, the player wins that round. If the guess is wrong, the house wins that round. If the two cards are equal, it's a tie: neither side wins or loses. This process of turning over a card and guessing high or low continues through the rest of the deck. The best strategy allows the player to guess correctly more than 70% of the time. How do you go about finding that strategy? This is where the math comes in! Probability theory is the branch of mathematics that deals with figuring out the likelihood of outcomes. With a simple card game like Hi-Lo, it is pretty easy to calculate probabilities. For example, let's say that the first card turned over was the two of spades (for the purposes of this project, our rule will be that aces are the lowest cards in the deck and kings are the highest cards). It's pretty obvious that our best guess would be that the next card would be higher, right? Probability theory gives us a way to measure just how good that guess is. In order to calculate the probability that our guess is correct, we need to figure out what the possible outcomes are.